DESCRIPTION - This tool lets you create a mugen stage very easily. Just load the background image, choose the stages configuration and you're done. 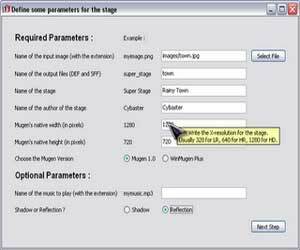 Video shows an exemple of a stage created with this tool. Easiest way to create a mugen stage.